Hide deals from seller "Sterling Optical"
Hide deals from category "Optometrists"
Limit 1 per person. Valid on a kids' eye exam, frames and single-vision plastic lenses. Not valid with insurance claims. Valid for children ages 5-15 only. Promotional value expires 365 days after purchase. 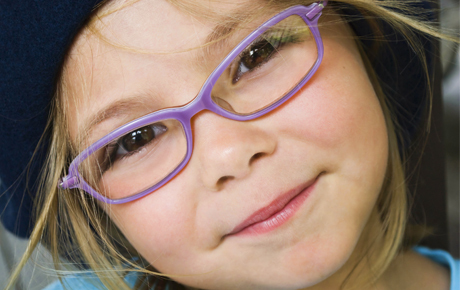 Set your sight on perfect vision with 50% off an eye exam, frames and single-vision plastic lenses for kids at Sterling Optical in Kenosha ($200 value). Help your child to see clearly with stylish glasses. For the past century, Sterling Optical has provided professional eye exams, quality eyewear and top-notch customer service at their numerous stores. Their Kenosha store has been proudly serving the surrounding area for more than 30 years. The walls are lined with a striking selection of designer eyeglasses and sunglasses including Gucci, Ray-Ban, Coach and Nike styles to fit every face and taste. Clear your blurred vision with this visionary deal. Offers professional eye exams and a variety of stylish eyewear.